What a year 2011 has been! And in a blink of an eye, we are in 2012 now! Mr Chardonnay arranged for us to meet at Pietro, a restaurant the opened its doors not too long ago, to try out it's italian fare. We read some mixed reviews on this place, but decided to try nonetheless, who knows, we might just like it.. 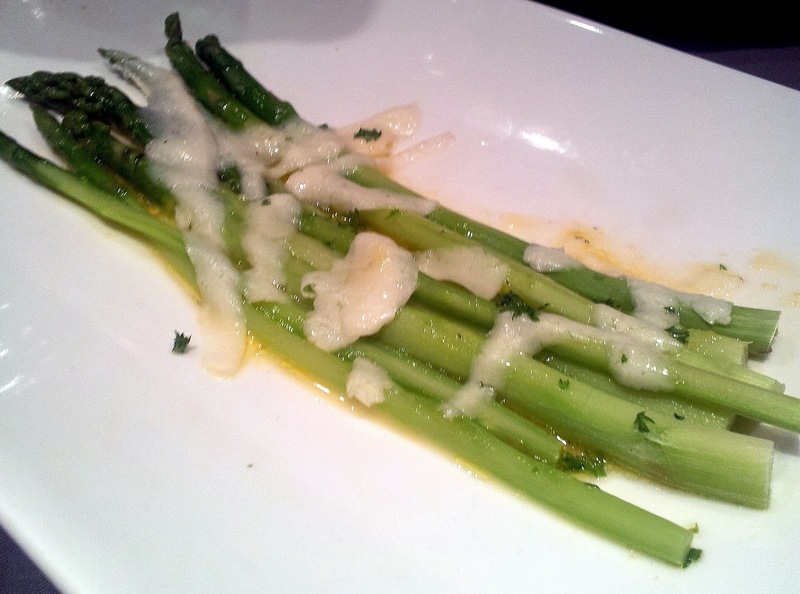 Though this looks simple but it was delish- the warm, young asparagus and the lightly melted shaved parmesan was a great pairing. 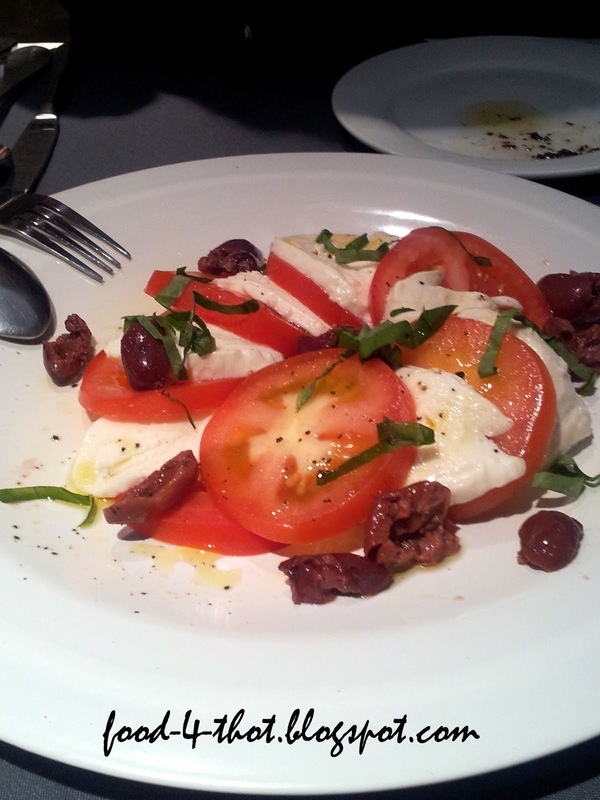 The Caprese Salad (RM28) was a more popular dish among my friends..
Fresh, sweet tomatoes neatly arranged with thick cuts of bufallo mozarella, a sprinkling of chopped basil and kalamata olives. A good combination that I cant complain. 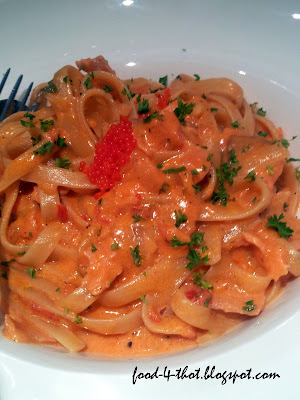 The Salmone Pasta (RM32) did not take that long to reach..
Creamy al-dente pasta with generous amount of smoke salmon and a dollop of lumpfish caviar. 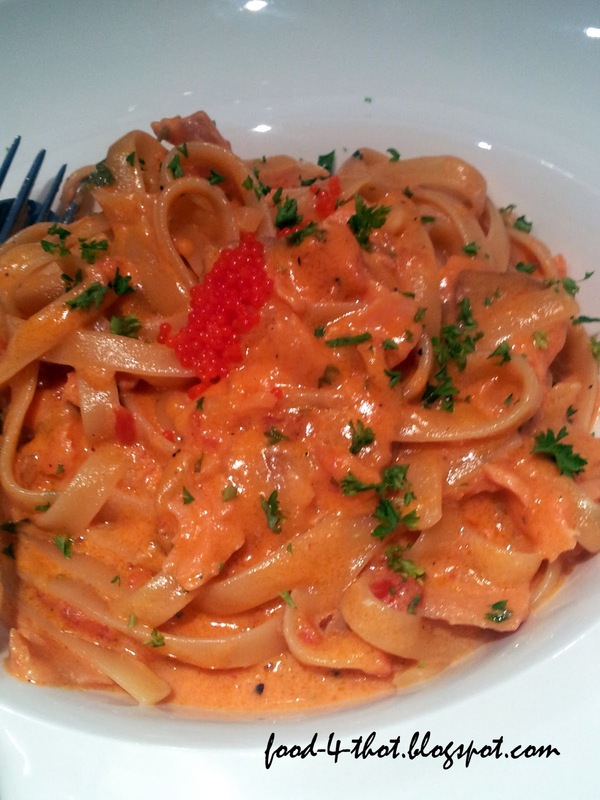 This was scrumptious, I was glad the sauce was not too thick and enveloped the fettucine perfectly. 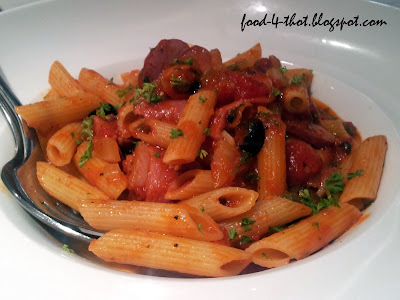 The D'antara Pasta (RM33) was not so popular.. Though the penne was cooked al-dente, the sauce was a mixed of tomatoes yet sligthly sweetish, which some find it a mismatch with the slightly salty smoked duck breast slices. 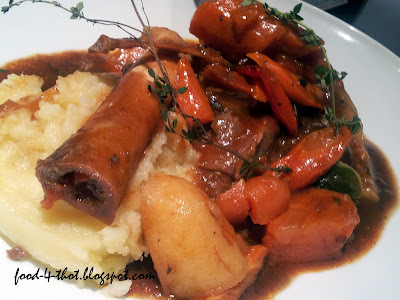 This had a better reception..hahaha..the lambshank was fork tender, served with creamy mash and sides of carrots and cucumbers. It was a decent dish. But the Quattro Formaggio pizza (RM32) got my crown for deliciousness for that night.. The cheeses was so aromatic (or some may call it pungent :p) that i was salivating just by smelling it. And yes, it did not disappoint at all. The crust was thin, crisp at the edges and the cheese! 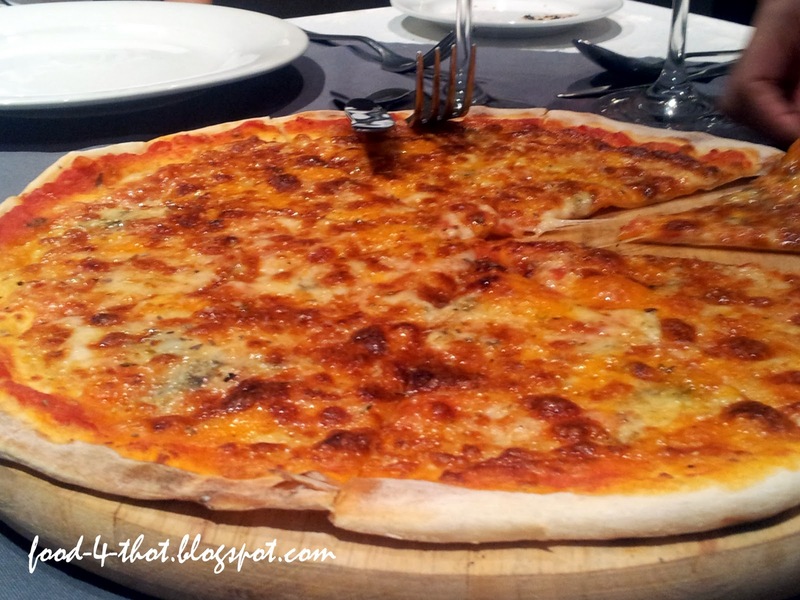 oh need i say more...the mildly burnt top, the great melting flavours of 4 cheeses (parmesan, mozzarela and i cant recall the other 2 :p) was simply divine! Yummy, fudgy chocolate brownie. Thanks Pietro.. I was glad that it's not too sweet, this dessert was satisfying with the cream cheese and the slight kick from coffee liquer. Chardonnay loves the Panna Cotta (RM16).. Smooth, velvety, melt in mouth..
Bangunan ECM Libra, Jalan Damansara Endah, Damansara Heights, Kuala Lumpur. Obviously, I didn't have any urge to go there, until recently, when another colleague convinced me to try it. Peter Hoe mainly is a shop that sells house decors. And tucked at the corner of the shop, was a few tables, which I assume was the 'restaurant'. The menu was simple, some daily specials on the board (sans the price) and some cakes and quiches at the counter. 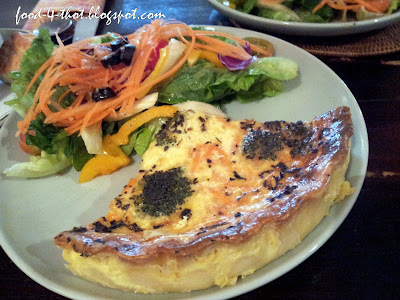 There were some choices of pastas, salads and noodles, but my eyes was set on the quiche. The quiche looks fresh, thick and yummy. There were a few types to choose from.. So it may seem pricey, but the quiche was huge, thick, yet fluffy in texture and extremely creamy. Both tasted fantastic, mine was filled with lots of shredded carrots, balancing the eggy cheesy filling perfectly. The crust was mostly soft, with bits of crisp at the edges, which I was fine with. SL's mushroom, tomato quiche was equally delish, velvety egg filling and aromatic cheese makes this such a rich meal. 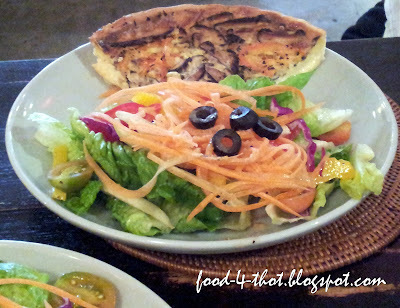 Luckily the salad was light and fresh, wonderful pairing with the quiche. 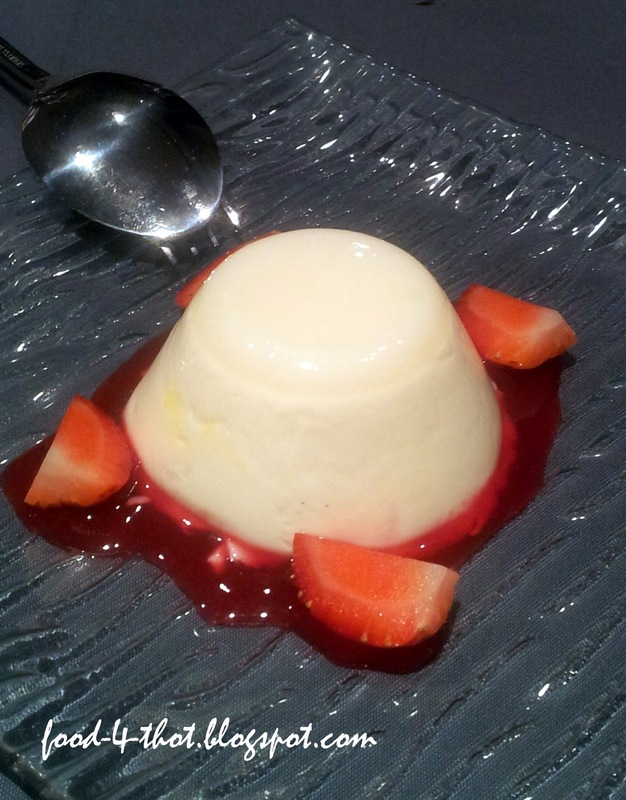 It's not the thick, filled with cream types, this was more diluted but had loads of chopped fresh mushroom in it. It was quite tasty I must say, but I found it slightly oily. I didnt have that bad of an experience actually. In fact, I rather enjoyed my meal there. So, yes, I would return :). One word of caution though, do ask for the price of your meal before confirming on the order. Peter Hoe is located at 2, Jalan Hang Lekir, 50000 KL. It's located above Popular Bookstore, use the side entrance. Nearby my office, there's an area so foreign that I would have thought I'm in another country instead of Malaysia every time I venture over. If you are wondering where I'm talking about- it's Jalan Tun Tan Siew Sin. But in the midst of all the hustle and bustle, I cant help but noticed a number of nepalese restaurants, tempting me to check it out. It took some time, yet we finally did..
We decided on The Khukri as it seems more established compared to the rest (it's been in business for over a decade).. Stepping in, we were the 'foreigners' as its customers was Nepalese working in KL.. Ignoring the stares, we took our seats and the waitress was quick to take our order. 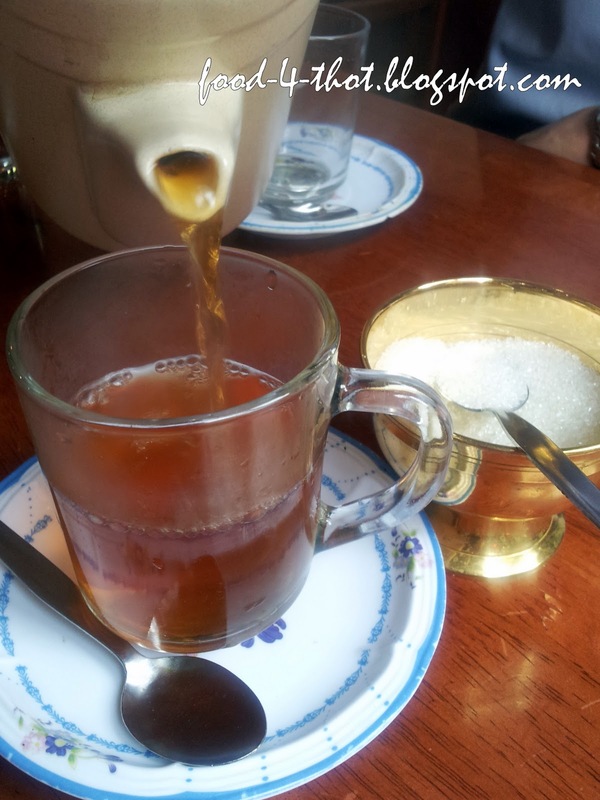 We started off with a hot pot of Nepalese tea.. It tastes like ceylon with a hint of herbs. 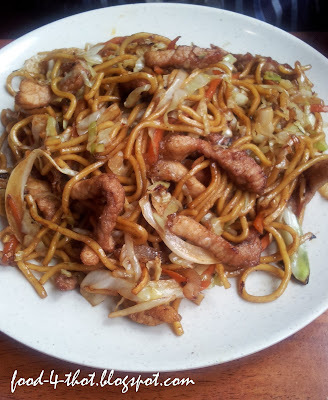 I find it ok, but some of my friends found it "smelly"
John, who didnt want to have rice, decided to order a plate of 'chow mien'. There's a number of Nepalese lunch set to choose from, which comes with rice, vegetables and a choice of meat.. The set comes in a big metal plate- we get a large serving of rice, nepalese curry chicken, dhal, stir fried spinach and sides of deep fried bitter gourd and potatoes. The curry was quite nice, not as rich as malaysia version, but still good to go with rice. But what got my vote was the vegetables! The greens was simply delicious, though a tad oily, I just love the taste. Wonder what was the secret flavoring it used- so tasty. 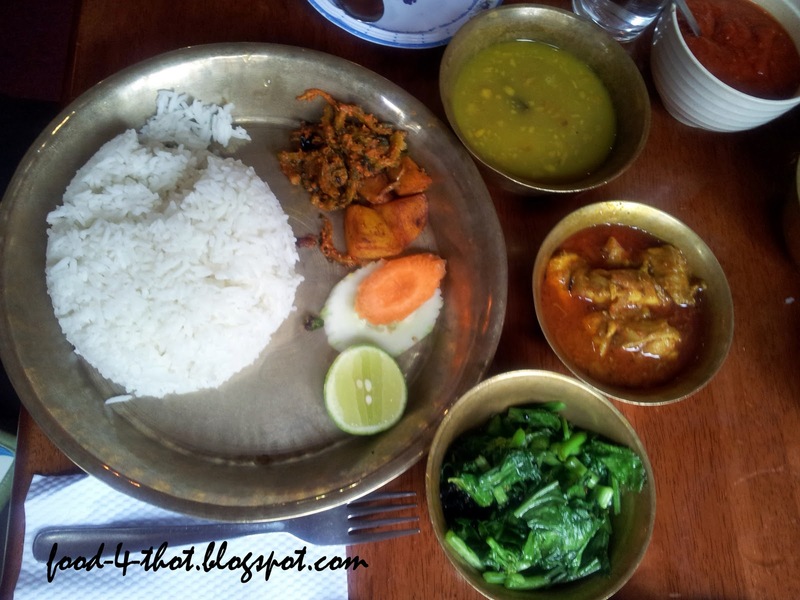 I only knew it's nepalese mutton- as the description in the menu was "taste of home specially in nepal". The mutton was tough and gamey, though smothered with thock tomato based sauce with a squeeze of lime juice, I still find it gamey. Yicky. SG had the same set as JA, but he chose Pork curry instead. Here's a shot of the curries.. The pork was absolutely fatty! But SG assured us that the meat was tender and tasty.. Some snacks to go with our lunch..Steamed and deep fried momos.. 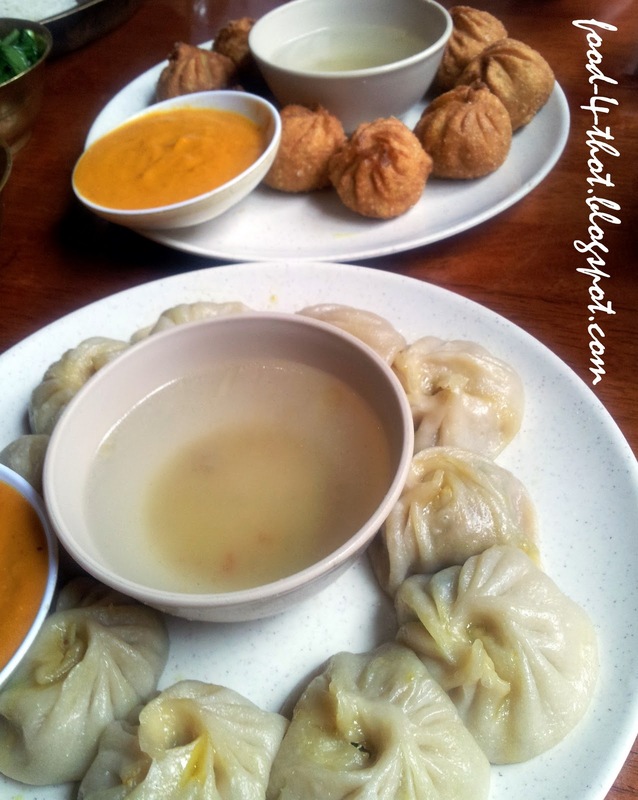 The steamed momos were filled with juicy mince pork while the deep fried counterpart was filled with mince mutton. Both were good and provided different texture and flavour. The dipping sauce was tangy, which complemented the momos..
And interesting find, we do plan to return to try other stuff in the menu. A note of caution though, if you are in a rush, please dont try this place. It took them quite a while to serve our food even though we were the only customers who ordered at that time. The Khukri is located at 26, First Floor, Jalan Tun Tan Siew Sin, KL. Tel: 03-20720663. We were at the mechanic shop as Bollywood Queen need to get something for her car.. While waiting and whiling away our time, I recalled there is a place for bread and drinks around this area..Just not sure where and what it's called..
Toast bread, kaya? Erm, name of place starts with D? Oh, that's just behind our shop! And so we went to the back- it's passed lunch time but still packed with customers..
We were not keen on any of the nasi goreng/ lemak/ mee goreng etc..Just wanted a drink and bread. Since they bake their own hainanese bread, we ordered a steamed and toasted kaya butter bread. Steamed bread with kaya and butter..
Super piping hot, it was hard to hold and to take a bite. The bread was soft, yet had a lovely chewy, springy texture to it, giving a more solid feel to the bread rather than the usual airy types. The kaya was creamy and smooth, the amount was just right to go with the bread. Yummeh! The toasted bread was served soon after..
Browned toast with a nice thick cut of butter. I likey :). The toast had a light crisp exterior and charred flavour. Bread texture was lighter compared to its steamed counterpart, yet still lovely to sink my teeth into. Though I am usually partial to toasted bread, Deli Cafe's steamed version was simply delish and a notch up the crisp brother (my preference la!). Deli Cafe and Bakery is located at 57-G, Jalan Sepah Puteri 5/1B, PJU 5, Kota Damansara, Petaling Jaya, Selangor. I noticed Es Teler 77 when I was over at Central Market a couple of months back. Though I kept reminding myself to try in soon, I never had the time, and when I did, none of my friends were keen to try. Unlike the usual Penyet restaurants, Es Teler 77 actually serves non-penyet meals..similar to Bumbu Desa, but in a fast food setting..
With surprisingly rather large selection of food- we only managed to order 2 mains, since the portion does seem huge. Some Jus Apukat(RM7.80) to quench my thirst.. 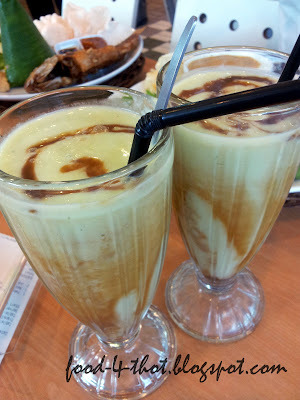 Different from what I expected- this blended avocado juice was laced with gula melaka, instead of chocolate. I'm fine with that combo if they didnt add in coconut milk/ cream too. The strong coconut flavour totally enveloped avocado's light taste and texture. It felt like I was slurping creamy, blended cendol.. The 'paket', if you're wondering, refers to the rice- akin to nasi lemak, with tiny fried anchovies premixed into it. The fish was slightly overfried- the meat was a tad dry. 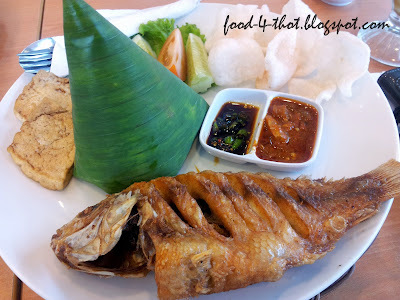 The good thing was, the dish was freshly cooked- we could hear them deep frying the fish..hahaha. The sambal was mild and the kicap was plain. A waste. 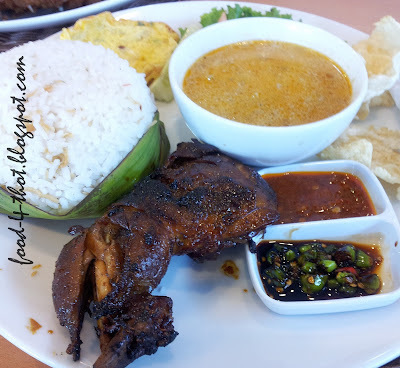 A generous amount of rice served with barbequed chicken, sweetish gulai and an extremely thin omelette. 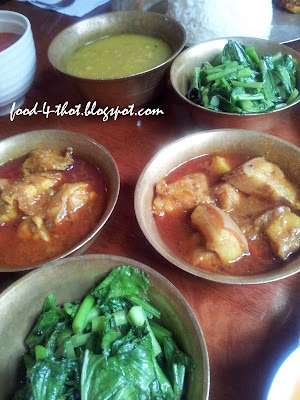 The gulai was too sweet and santan-y, and the chicken was dry at some parts (some section was ok). Es Teler 77 Juara Indonesia is located at Kasturi Walk, Pasar Seni, KL. With the rising popularity of online deals, we do get a myriad of choices of deals, one of them, F&B. That's how I got to know about Cafe Art, which was having an online deal recently- my friend bought a few coupons to be redeemed there. Cafe Art is located in The Warehouse, an art gallery. The same establishment houses Ril's at the first floor, a steakhouse which only opens for dining. Located at an old area of town, the gallery is a breath of fresh air to this side of town, not looking odd at all.. It's well lighted, splashed with colourful art pieces adorning the walls, emanating a cheery mood. Cafe Art serves very simple meal- a choice of coffee/ smoothies/ juices/ tea, yoghurt (wth fruits and muesli) and sandwiches. For our sandwiches, we had a few types of meat to choose from- chicken, roast beef, tuna, turkey ham etc. Can you tell which is chicken breast, tuna and beef? We could not at first glance too. I actually thought there's some difference in the sandwiches that we ordered, but I guess not. The amount of fresh vegetables was commendable, but the side of salad looks exactly like those on the sandwich... So, how was the sandwich? I had the roasted beef- it was tough and extremely chewy. The meat was bland and to top it off, the bread was hard and dry. I did not like my order. Those who ordered chicken breast was served with chicken sausage and ham instead. Only ok customer was those who ordered tuna. Overall, it was not a satisfactory meal, I definitely will Not be returning. No wonder it's not opened for lunch- this place was absolutely scorching! It felt like we were in a furnace, we ran down quickly..
And while we were preparing to leave, the manager enquired about our meal. I honestly shared with her my experience on the tough roast beef, hoping that they will take note to improve. However, my hopes was quickly doused, instead of acknowledging and to improve in future, she just thought I had a tired old cow. It's not funny at all in such situation. 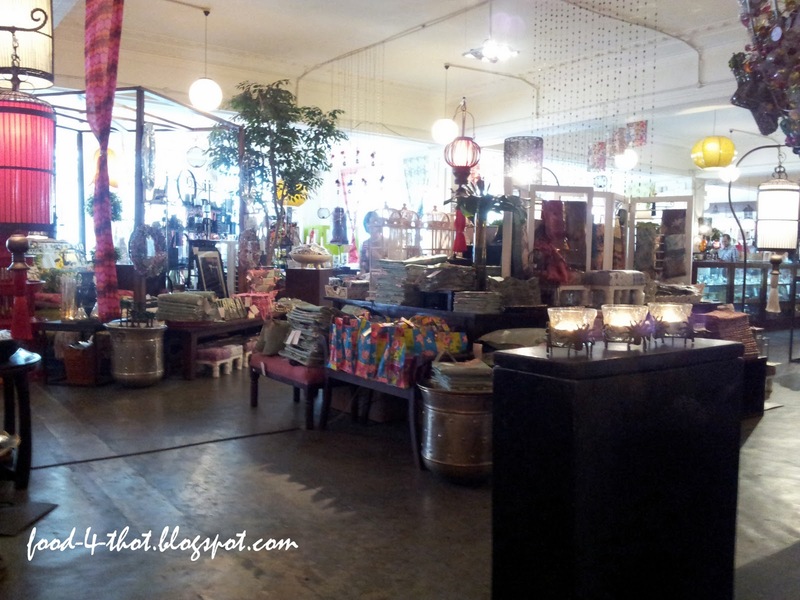 The Warehouse Gallery Cafe is located at 198 Jalan Tun HS Lee, 50000 KL. It has been ages since I've met Vincent, maybe almost a year? And when we finally arranged for breakfast and Vincent was to suggest a place, it was immediately Bak Kut Teh..hahaha how can I forget Vince who's a huge fan of it? Since he's the BKT enthusiast, we got him to suggest..
And that's how we ended up at Restoran Bak Kut Teh Gabtron.. I was told that this place was opened by the grand daughter of the famed "under the bridge" BKT in Klang, which means expect minimal 'extra' ingredients in the BKT.. So we gave our orders and a few minutes later.. So, what's left? 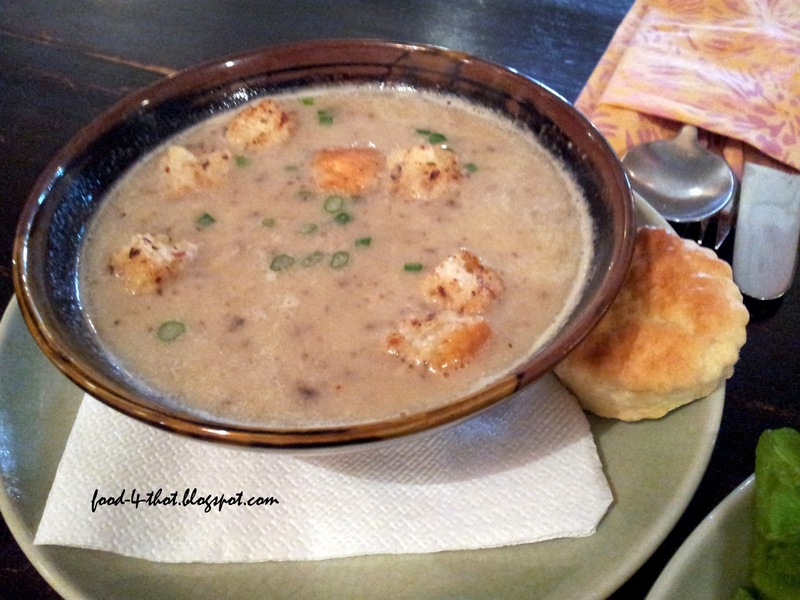 It's for us to savour the meat, meat, meat and soup! Restoran Bak Kut Teh Gabtron is located at 15 Jalan Sj 1, Taman Selayang Jaya, 68100 Batu Caves, Selangor. WF told me of Coffee Bar recently, her boss told her of the place, purportedly good for coffee and nasi lemak bungkus. But her boss has iffy taste, we were not too certain if we should try. Then again, she went there based on a recommendation of a customer, so maybe the customer's taste was better.hehehe. Finally popped by on a Sunday morning, very quiet, we were the only customer for the morning. Though it's forte is coffee, none of us seemed to crave for coffee, and settled for teh tarik and milocinno instead..
Teh tarik was fine, not too sweet.. The Milocinno has very little hint of coffee, it was predominantly milo. We wanted to try the nasi lemak bungkus, but was told that the first batch was fully sold off, we would need to wait as they were still cooking the second batch. 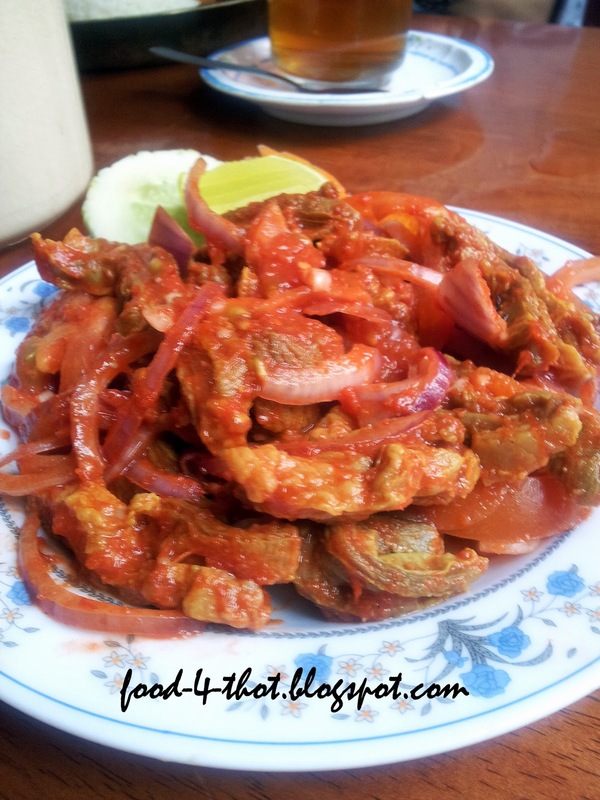 Generously filled with shredded chicken, see ham, tau pok and beancurd, it does look inviting. However, taste wise was mediocre, the curry was not fragrant and had the 'powdery' feel to it. A rather small portion, I was immediately disappointed with the lack of banana leaf with the nasi lemak. I always prefer my nasi lemak bungkus wrapped in banana leaf- the aroma of the leaf permeated into the hot, steamed rice further enhancing the overall nasi lemak experience. The rice itself was ok, the santan's fragrant, slightly wet (i prefer dryer, distinguishable grain type). The sambal was chinese sambal type, with a lot of onions. The accompanying peanuts and fried ikan bilis was undeniably fresh, gives a nice texture to the nasi lemak. As stated in my previous post, I would like to share an unfortunate food incident that occurred a few weeks ago.. Left quite an impression, I must say.. It was Chardonnay's belated BD dinner, and we decided that Bistro a Table seemed a perfect choice- cozy, tucked at a quite area, great for catching up.. This place has been popular in recent months, with many raving reviews, we thought this would serve a good venue for dinner. Serving french cuisine, we started off the meal with some baked escargot in horny goat weed(RM24).. Prepared ala mini pie, the pastry was fragrant and the escargot was of firm texture. The weed (herb) was rather light, I cant really taste it except for the olive oil and salt.. This was delicious! The mash was velvety smooth, with aromatic truffle oil lingering after a mouthful. We were told a lot of effort was put in this mash- the potatoes were not boiled (no H2O involved), it was roasted, then hand mashed and slow mixing of cream and truffle oil. Juicy and pink on the inside, we all agreed that the lamb was cooked well. But there was no surprise to the palatte, the sauce tasted familiar per other western fare. This was quite an eleborate main compared to ours, the salmon was wrapped in baking paper ala calzone shape, it was cut open before us..then a small sauce pan of champagne sauce was poured over it and topped with a spoonful of herbs. The salmon was fresh and sweet, the sauce not too rich, complemented the fish nicely. The rabbit, which was cooked in red wine, came out rather coarse in texture. The sauce, Chardonnay commented, was too sour. I find the sauce ok, akin to the sauce for coq au vin. The potatoes cooked with duck fat was yummy though. 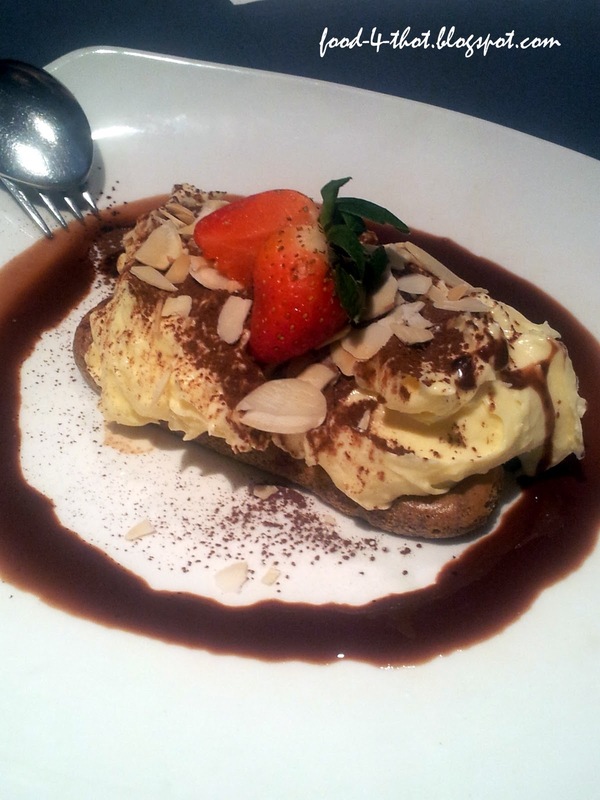 The warm tart was served with balsamic ice cream, which paired well in terms of texture and flavours. I liked it though it had mixed feelings from the rest. A safe and hard to go wrong choice, the cake was moist and slight crisp on the outside while the chocolate lava was thick and slightly bitter. Enjoyable. Hmm, things sound find, right? So, what was the dreaded incident? At 430am, I woke up with a start and started a series of severe vomiting and purging. It was horrendous and I was also worried that my friends suffered the same. Two were find, while Chardonnay, who ate a portion of my main, suffered light diarrhea. Yes, we pinpointed the source- it was definitely the dreaded rabbit. And my food poisoning developed into a traveller diarrhea, which took me almost 2 weeks to recuperate. So, would I return? I really dont know. It was also unfortunate that we were seated near the kitchen, we could hear the chef screaming at her staff- rather disturbing for us. She came out a few times, looking angsty and sulky, maybe she had a bad day. I'm not sure. 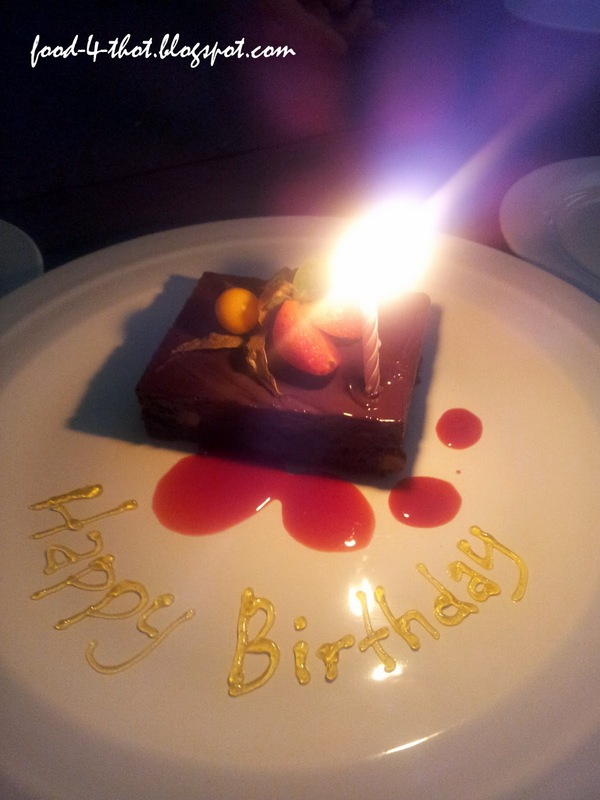 Bistro a Table is located at No 6, Jalan 17/54, 46400 Petaling Jaya. Tel 03-79312831. Reservations recommended. Ok, being a drama queen here- guess I was darn lazy after a bout of food poisoning and now still on antibiotics, to start blogging again. I shall share that disastrous makan experience in another post, for today, it shall be a simple, short and sweet post. I once got a comment from a friend, saying that I only write about makan places near where I'm staying. But hey, if the food is nice, even if it's just a stone's throw away from my home, I should share right? So after that statement, I held on to this place- didnt want to share since it's ' close to home ' and potentially very boring. Opened a couple of months back, Restoran Kuala Lipis Noodles serves very basic stuff- home made noodles, roast pork, char siew and poached chicken. Oh, you can have it with rice too. We were told that their home made noodles was without alkaline and a must try. Comes only in dry version, the noodles looks like a cross between laksa and egg noodles..
We were supposed to mix a generous amount into the noodles to make sure it's tasty.. I took a bite pre-sambal, the noodles was firm with a slight chewy texture, the mince was fragrant, enveloping the noodles lightly. Adding in the sambal changes the taste of the noodles quite drastically- it's not as spicy as it looks, I could taste some sweetness and flavour of tomato, making this a ' sweet and spicy ' noodles. We ordered a mix platter of char siew and roast pork.. The char siew was average, the meat was firm, solid, cut into thin slices. It's not melt in mouth type, this was old school char siew I used to eat in kampung when I was a child. The sauce was too sticky-sweet to my liking. Anyway,char siew was the side kick. The bomb was actually the roasted pork! Restoran Kuala Lipis Noodles is located 26-1, Block B, Jalan PJU 1/3B, Sunwaymas Commercial Center, 47301 PJ. Oh do note, they are only open for breakfast until tea time if I'm not wrong. Roast pork are served much later, 11am or 12noon.